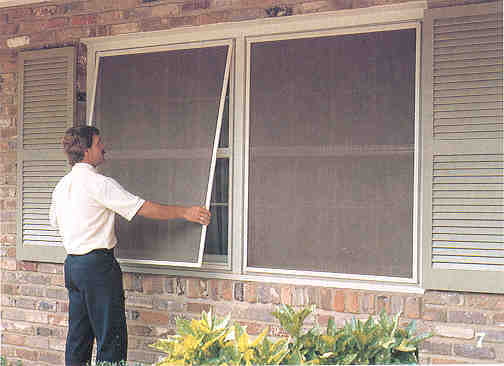 Many people ask us, if we can do window repairs in Las Vegas. Since we are typically a glass replacement company, our customers aren’t sure if we can do other different types of window repairs. But yes, we are, in fact, quite well suited to do all types of window repairs. However, many customers are confused about the prices we charge, and why we charge that way, so we have included this article on some of the most common repairs you see in windows especially in the Las Vegas climate and why we charge the way we do for such window repairs. However, when it comes to window repairs in Las Vegas, it’s not always the same. You see, with broken glass repair, the repair must be completed. People just can’t have open/shattered glass in a window pane, so the need is immediate and must be completed. However, if a window sticks and is hard to open, it doesn’t necessarily need to be fixed right away, if at all! Most people are fine with just not opening that window, they can either open a different one, or just forget about it and consider it a fixed window for the foreseeable future. Especially when they find out the price. So, here are a few of the major window repairs we come across in Las Vegas, how we fix them, and how we come up with the pricing structure. Bad rollers – Sliding windows, meaning windows that slide from side to side, slide on small rollers attached to the bottom of the movable portion of the window frame. Because of the fine dust found in the Las Vegas Valley air, these rollers can go bad after a few years. Especially if the window sills aren’t kept clean, and the rollers roll across built up dust a few times. The rollers pick up this dirt, deposit it into the moving parts and eventually just get stuck. Many times, these rollers can be removed, cleaned and re-installed to help make the window roll again, but sometimes they need to be replaced. Here is where the pricing dilemma comes in. We need to send an installer, in a truck, across town, during a specific time window to meet the homeowner at the residence of the window in question. There is a significant cost to doing this. With gas prices, insurance, workers comp, traffic, distances, scheduling, software, tools, equipment, expertise and training, the creation of a work order and invoice at the office, not to mention the wages and federal taxes on those wages, let’s just say that the cost is SIGNIFICANT. That’s why our minimum to do any work whatsoever is $150.00 – No exceptions. If it’s a 5-dollar repair or a 50 dollar repair it still costs way too much to make any service call for less than $150. Now if you have a window roller, that costs say $20.00, and say you call us to come fix that window roller. If it turns out to be a 2-trip process we have to charge $300.00 just to stay in business. We come out to the house, determine the issue is a bad roller, and cannot be serviced, but must be replaced. We then must leave the residence, go across town to a supplier of building materials and find the roller, if it’s even possible to find. (Many window manufacturers have gone out of business or discontinued window lines and therefore parts and pieces aren’t always available). Then once we have a roller in hand, we need to schedule another appointment, come out and make the repair. I completely understand why someone wouldn’t want to pay so much for a roller repair, heck I wouldn’t want to either, but the fact remains that we need to stay in business and you don’t stay in business by charging less than it costs to complete a task. We run specials sometimes during slow periods so in some cases you can get a roller repair for as low as $250 if you have the right coupon, but still for a little more than that you can get an entire new window, so the choice is yours. The key is to have multiple items for us to repair when you call. For example, if you need a solar screen, and we are charging you $170 for a solar screen, we can add on the roller repair for as little as an additional $60. 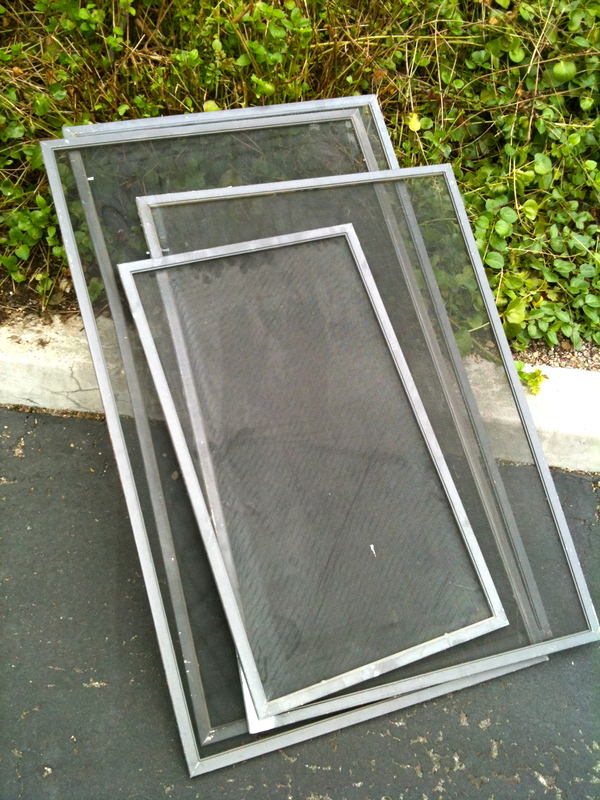 Or say you are missing 6 or 7 window screens, we can do all of them at the same time, and well you see, if we are there already taking care of some items for you, it’s not difficult to add on window roller repair for a reasonable price. Speaking of other window repairs. Once again, it’s all about the trip charge. You can get several window screens for reasonable prices, they aren’t that expensive, the cost is the trip and all the expenses that go along with sending an installer to your home as discussed earlier. 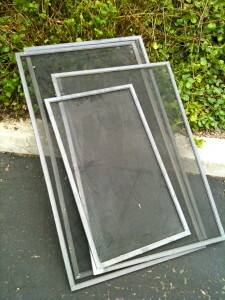 Many times, we are asked, “Would it be cheaper to have my screens “re-screened” with new mesh?” Then answer is, well no. The biggest cost of a screen is the labor to make one. To remove the mesh and spline from an existing screen, clean it up, cut and re-install new screen mesh and spline, as compared the just having a new screen made, is negligible. It might save a little, but not enough to justify a price difference. So, as you can see, our pricing can be very reasonable on several window repairs in Las Vegas, it’s just that some minor things that are mostly labor and trip charge, will seem excessive if you call to have one little repair done. Speaking of minor window repairs, let’s talk about balancers. Windows that slide up and down, are called these single hung windows or double hung windows. If one half of the window slides it’s a single hung, if both halves slide, it’s a double hung. At any rate, most of the “hung” windows you will find in Las Vegas are single hung window. 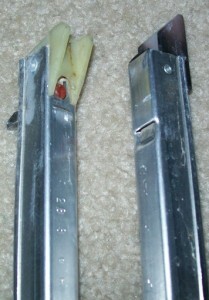 The portion that slides up and down, when it is in the “up” position is held “up” by a metal spring loaded balancer, installed at either side of the window. Similar to the image you see here. Luckily for several years, most of the major window products installed in Las Vegas new homes all used the same balancer style and brand which worked well for replacing these when they go bad. Yes, these balancer’s go bad after a while for the same reasons that rollers go bad. Las Vegas weather conditions are tough on all building products, especially windows. 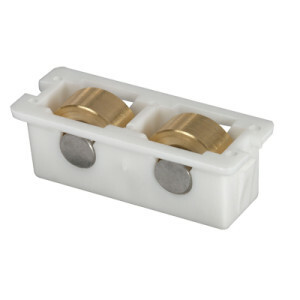 If just one of these balancer’s goes bad and you need it replaced, guess how much it’s going to cost? Yep, correct, $150.00 – But once again, you can get 2 for $150 or 4 for $200 – as long as they are the normal stock balancer’s that are readily available. There are several balancer styles out there that are no longer available, and there is just nothing we can do, short of replacing the entire window. If you are in a situation where your balancer’s are bad, you may want to consider replacement windows, they are an excellent option for home improvement. There are window locks as cheap as 3 dollars, but if you call us to fix a window lock, well, I think you get the picture. This is one of those things that aren’t necessarily as easy fix as it may seem. Window locks get discontinued, they get hard to find and even though a replacement window lock, looks like it might work, in most cases it won’t. But first of all, assuming we can find a replacement lock, consider why the lock is malfunctioning in the first place. Did it fall out? IF so, it may be that the screw holes were stripped out and that’s why the lock fell out, if we try to install a new lock in old stripped out holes it won’t work. We could use bigger screws but now you run the risk of screwing into the side of the glass and popping the entire glass unit. We can move the lock to a new location, but now you have exposed screw holes from the old window lock location. I think the point is, that replacing window locks is not as easy as it appears. Here is an example of a 7 dollar window lock at home depot. 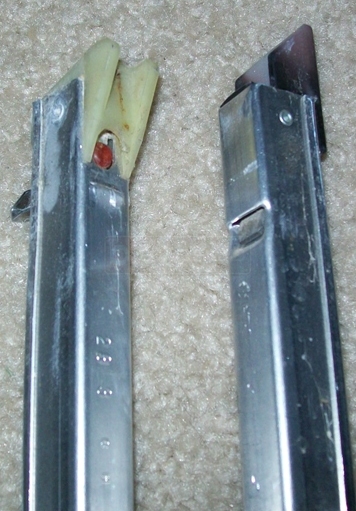 Also with replacement locks, there are minor differences that are beyond the scope of this article, but any small 1/8” difference anywhere on the lock itself, is going to cause it to malfunction and cause problems down the road. 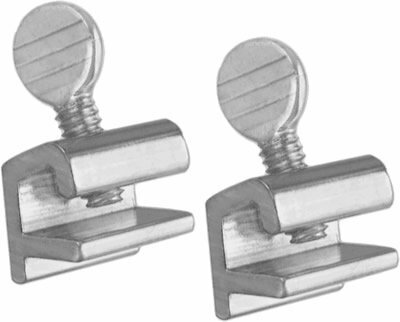 Your best bet it to get “screw-in” secondary locks from your local hardware store and let those suffice in place of the supplier provided window locks. In some cases, because of an inspection or other reasons, the locks need to be repaired or replaced, and we can do this for you, but just consider your alternatives before making a purchase decision. The final thing that sometimes needs to be repaired on your windows may be the glazing bead. 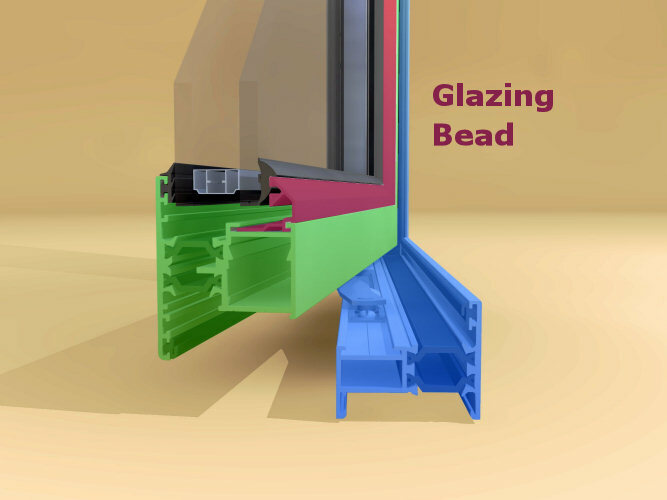 Many windows (especially today) are made with glazing bead which is essentially a plastic trim piece that covers the gap between the window frame and the window glass. Glass is basically taped or glued to the aluminum or vinyl window frame and therefore there is a small gap between the edge of the glass and the window frame. This plastic trim can get faded, brittle and damaged over time, especially if the glazing bead faces the exterior of the home. Sun damage is the culprit normally in Las Vegas, but other things can damage the glazing bead such as flying objects and excessive cleaning. If you have damaged glazing bead, and your window isn’t too obscure, say a relatively common window in the valley, chances are you should be able to find someone to fix or replace the damaged glazing bead. The red shows the glazing bead in the picture. So, there you have it, the several things that can go wrong with your windows and how we go about fixing them, and how much you are most likely to pay. If you would like a custom quote on any of the repairs I wrote about in this article, please call us at 702-608-8408.